The University of Ottawa’s Board of Governors has approved a wide range of measures to address global warming. 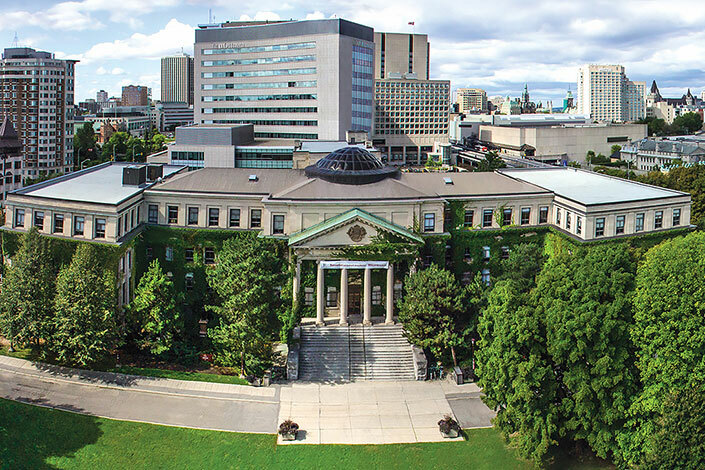 As a leading research institution, responsible investor and community partner, the University of Ottawa has decided on a bold approach to address global warming and help Canada move to a greener economy. After considering the issue of divestment over the past 18 months, the Board of Governors has adopted a report, Addressing Global Warming: The uOttawa Response, which sets out how the University will continue to play a leadership role on climate change. At its meeting on April 25, the University’s governing body opted for an approach that not only includes financial decisions, but also sets ambitious goals to reduce uOttawa’s carbon footprint. It will also stimulate teaching and research on green innovation. The board has asked its Finance and Treasury Committee (FTC) to develop a strategy to shift uOttawa’s fossil fuel-related investments towards investments in businesses involved in creating and selling the technologies of the future, especially in Canada, including renewable energy and other clean technology solutions. The Finance and Treasury Committee will report to the board annually on its progress. The comprehensive package of steps includes a new $3-million Clean Innovation Research Fund and a $10-million Clean Innovations Fund to invest in clean technologies. 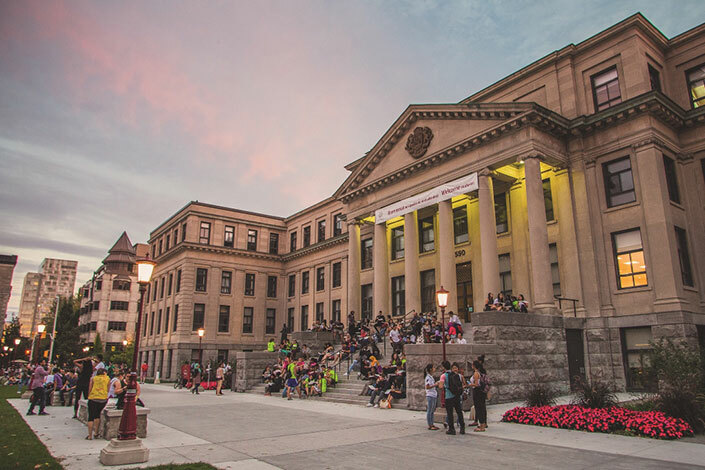 Addressing Global Warming: The uOttawa Response is the result of many months of work by the FTC, which examined whether the University should divest from fossil fuels. Consultations included hearing from the Fossil Free uOttawa divestment campaign. On March 21, 2016, three panel discussions took place on campus to provide a forum for a broad spectrum of views. The University also commissioned a report on the issues surrounding divestment from Tessa Hebb, director of the Carleton Centre for Community Innovation. The report’s range of policy options and recommendations was considered by the FTC. Stewart Elgie, uOttawa law professor and director of the University’s interdisciplinary Institute of the Environment, was also asked to submit advice and recommendations to the committee. As an institution of higher education, uOttawa will play an active role in finding ground-breaking solutions on climate change, building on its strengths in science, engineering, economics and other areas. The University already offers more than 150 undergraduate and graduate courses related to sustainability across disciplines that are preparing the “green leaders” of tomorrow. New initiatives include the above-mentioned Clean Innovation Research Fund of up to $3 million by 2020 to support research, teaching and graduate scholarship effort. Half the funds will come from uOttawa and half from matching donations. The University will also establish a forum to stimulate discussion on campus on how it can best boost its impact in teaching, research and public engagement to combat climate change risks. As a signatory to the United Nations-supported Principles for Responsible Investment, the University will continue to ensure its investment strategy meets the highest standards of responsible investing, so that environmental, social and governance (ESG) criteria are respected in the investment decision-making process, alongside economic factors. This approach is widely recognized as the investment industry’s gold standard. Among the initiatives, uOttawa will create one of the largest sustainable investment funds, the Clean Innovations Fund, and transfer $10 million of its endowment fund to provide seed capital for investing in clean technologies. In addition, the University will continue its engagement with companies that demand increased transparency and disclosure regarding climate change risks. It will also require external investment managers to report on ESG integration in their investment decisions and shareholder activities. In November 2015, uOttawa became the first Canadian university (and second in the world) to sign the Montreal Carbon Pledge, a landmark document whose signatories agree to measure and report annually on the carbon emissions produced by their investment portfolios. This includes reducing its carbon footprint and educating the green leaders of tomorrow. The University has reduced its GHG emissions by 32% over the past decade, despite huge growth in its student numbers and physical infrastructure. On April 20, the University won the Ontario Minister’s Award for Environmental Excellence for reducing its GHG emissions by 33,100 tonnes through improving its energy efficiency. The University was also one of the first Canadian campuses to ban bottled water. It now aims to become a zero-waste campus by 2020. The University has reduced its own GHG emissions by 32% over the past decade, despite huge growth in its student numbers and physical infrastructure.